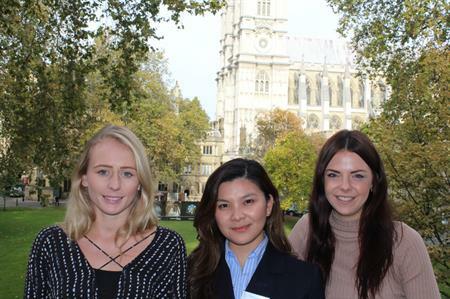 Church House Westminster has appointed three new members of staff to its event and marketing teams. Nicole Regalario has joined the team as events coordinator, bringing with her a wealth of sales and events experience from working at Richmond Hill Hotel and Warren House. Church House Westminster has also strengthened its marketing team with Gemma Watts taking over the role as marketing executive. Watts has joined the team from the Roehampton Club, having gained a degree in marketing management from Oxford Brookes University. Hannah Draboczy has been appointed sales and marketing assistant. Draboczy previously worked at Centaur Media as an operations assistant. Commenting on the team expansion, general manager, Robin Parker, said: "Nicole, Hannah and Gemma are welcome additions to our dedicated team and bring with them key skills and experience for their roles. I am looking forward to working with our three new recruits to ensure we achieve growth targets by raising our profile through strategic marketing initiatives and maintaining our reputation for providing clients with first class event support and delivery."